So what exactly is a carpet protector? In most cases when your talking about carpet protection your talking about one of the plastic firms that is temporarily placed over carpet to makes sure its not damaged or soiled while repairs are being made. A carpet protector could also be a solution that is applied to the carpet to make sure it doesn't get stain or soiled during everyday use. At Chem-Dry of Tampa FL we apply a solution based carpet protector to as an option to our regular carpet cleaning services. Most carpet cleaning companies in Tampa FL can post spray a protectant to help maintain your carpet in between cleanings. At Chem-Dry of Tampa we go a different route. Our carpet protector is applied with our cleaning solution so it covers the entire carpet fiber from top to bottom. Co-applying a carpet protector during the cleaning process simulates how stain resistance is applied to carpet during the manufacturing process. It insures that the entire carpet fiber is protected not just the top of the carpet. Another benefit of co-application is that stays on longer. It bonds with the carpet fiber acting as shield just like the original stain resistance on the carpet. 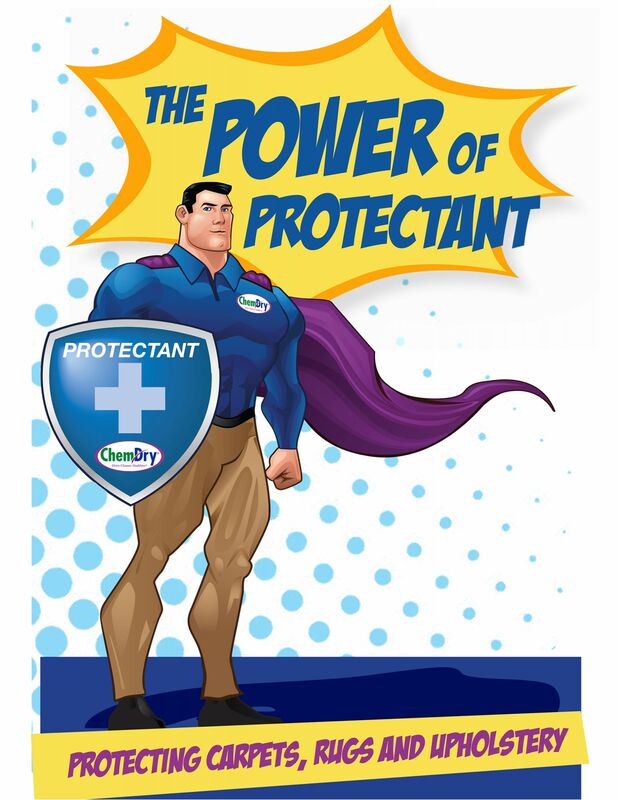 Only Chem-Dry offers a carpet protector that shields your carpet along the sides of the fibers. It's truly unique and can't be matched by other professional protectants. For the best carpet protector in Tampa FL call Chem-Dry of Tampa.